Over the past few years, we’ve become known for our personalized seed bomb favors, which are popular for summertime weddings and other celebrations. 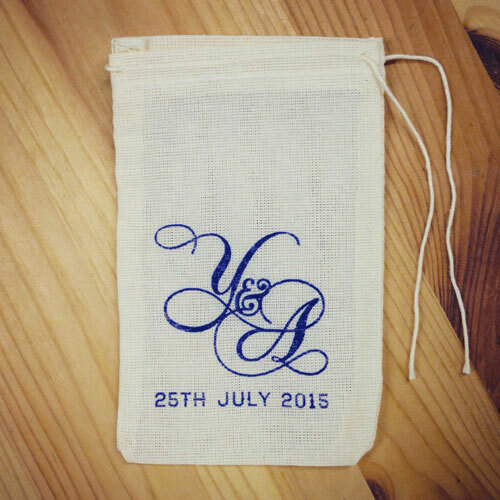 Every once in a while, we get a request just for screenprinted pouches — in this case, adapting the couple’s monogram from their wedding invitation. You can fill these muslin pouches with candy, soap, or any small keepsake. We love these kinds of custom projects; contact us to discuss details!